Dare I ask... but what's this worth? Quote Reply Topic: Dare I ask... but what's this worth? This isn't strictly for sale as I hope to salvage it, but as some of you may have read my 5VY Yamaha R1 died on me at Snetterton a few weeks back. Coming out of a corner the engine note changed, bike wouldn't run cleanly at low revs and refused to idle. After riding it home 90 miles all plugs were burned and simply changing them didn't improve things. My options are new engine or sell it, but genuinely I'm not sure what it's worth? 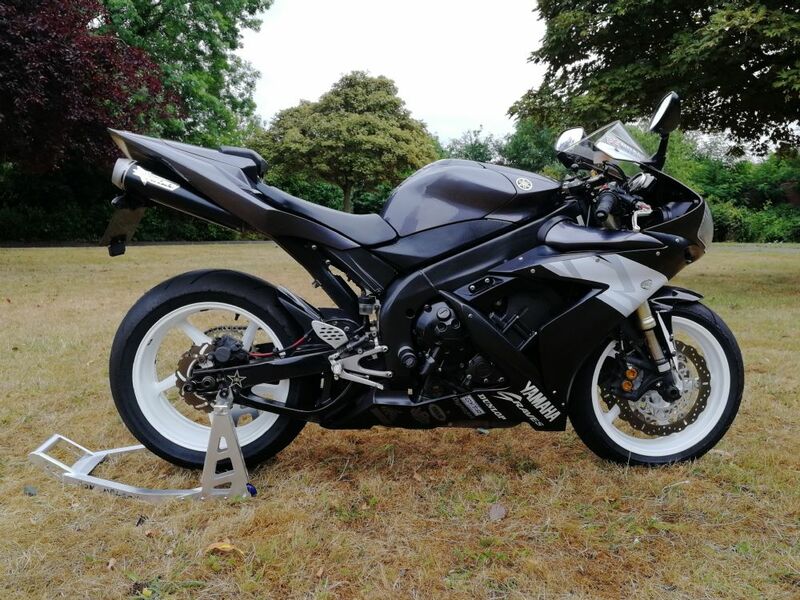 Just a nice old road bike, fairly standard, which also did the job on the odd trackday- probably done a total of 15 trackdays since I got it in December 2012, prior mileage was by an owner who used it for touring. So what is a 2004 Yamaha R1 road bike worth which doesn't run... but up until that point rode beautifully?